The frequency and intensity of extreme precipitation events have increased in the past decades and this trend is expected to continue in a future warmer climate. The Dutch Demo Case, led by HydroLogic, aims to provide tools that contribute towards making water management weather and climate-proof. The Netherlands have a long history in water management. In the Middle Ages, people started digging drainage canals in the peatlands to make the land suitable for agriculture. However, by draining the peat, the land started to subside. When the land had subsided below the water level in the rivers, there was no outlet for the water anymore. Windmills were built to pump the water up to the river level. A thousand years of water drainage have resulted in about half of the Netherlands currently being situated below sea level. Water levels are strongly regulated and there is an intricate balance between too much and too little water. Combined with the land being flat, heavy rainfall can easily disturb this balance and cause pluvial flooding. On 28 July 2014, large parts of the Netherlands were confronted with heavy precipitation. In urban areas, the sewage system was not able to drain the water effectively, resulting in water in the streets and houses. The water from the urban areas was discharged to the rural areas, which also did not have the water storage and drainage capacities to get rid of the water quickly. Farmers lost their crops, because their fields were wet for too long. While the return period of such precipitation events is about 1000 years, hardly one year later inhabitants of a region called Land of Heusden and Altena were confronted with extreme precipitation and its impacts again. Meetings between the water board of Rivierenland, to which Land of Heusden and Altena belongs, the involved municipalities, farmers and citizens, were held to define measures to improve the water drainage. Apart from these measures, citizens can also contribute to improve water drainage. A lot of gardens in the Netherlands are entirely or partly paved, causing the water to run off over the surface, instead of being taken up by the soil. Citizens can reduce the paved surface in their gardens, add more greenery and collect precipitation in a rain barrel. The Dutch demo case will create a citizen observatory to collect and provide information about rainfall and its effects on the water system. 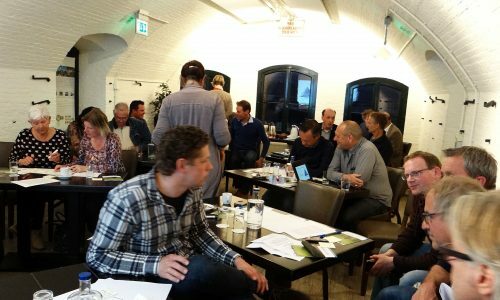 To find out what the needs of the different stakeholders are, we held the first co-design workshop in the Land of Heusden and Altena in May 2017. Citizens that had first-hand experience with pluvial flooding shared their stories. Apart from the material and financial damage, it became clear that the emotional impact is large. Some participants indicated that even two years after the flooding, they still have trouble falling asleep when extreme weather is forecasted. We look back on a lively and productive co-design workshop and are currently in the process of translating the input from the stakeholders into a draft design of the observatory. This blogpost was written by Rianne Giesen from Hydrologic. The project partners take turns. Come back next month for a blog by Altran!